Circa 1847. In the heart of the historic district, this Greek Revival/Federal-style home is considered to be the town's first inn. Boaters enjoy the close proximity to the dock of the Neuse and Trent Rivers with the Intercoastal Waterway only 30 miles away. The Gathering Room is a favorite place to play the baby grand piano or work on a puzzle. Hot and cold beverages always are available. Themed guest bedrooms are spacious and comfortable with non-working fireplaces. 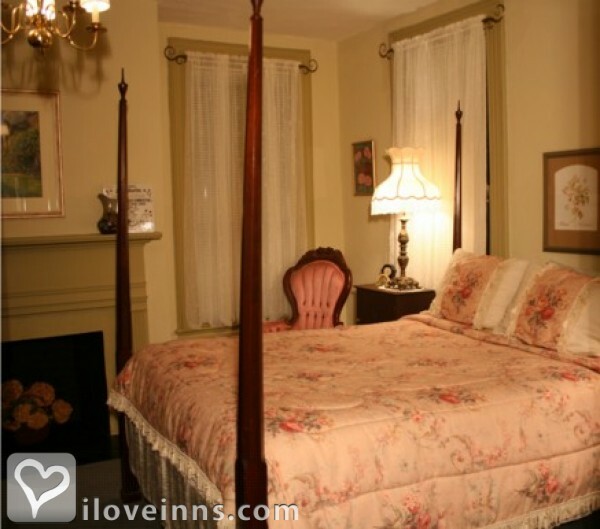 Ask about a romantic package in the Victorian Room, or choose the family-friendly two-room suite on the third floor. The morning meal may include quiche, breakfast pizza, scrambled egg enchiladas, or baked French toast to enjoy with fresh fruit, hot breads or muffins and juice. Payment Types Accepted Include Discover, Travelers Checks, Personal Checks, Master Card, American Express, Visa and Cash. This property has 7 total guest accommodations with private bath, 1 two-bedroom suite and 1 conference room. The types of beds available include King, Queen, Twin and Double. Antebellum Inn with seven rooms with ensuite baths. 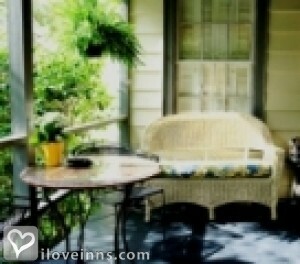 The Josephine Room is the most popular room for Romantic Getaways and Elopement Packages. Outside Only and Smoke Free Property. Circa 1847, was occupied by Union Forces during the Civil War. Our 1st experience for B&B. Absolutely fabulous. Loved the Oriental atmosphere - very serene. The town is so much fun - great places to eat. The breakfasts tasty & especially the fresh fruit all presented beautifully. This has been a perfect two day no plans break for us. Thank you for your generous hospitality in this peaceful place - It is just nice to know this is still possible. Keep on keeping on. How refreshing to walk around town & this area. It takes us back when life was slower & calm!! We have enjoyed your Inn & your kindness. Thank you so much!! What a marvelous place and hospitality. We have enjoyed our stay and hope to one day return. We have come to enjoy your town and the friendship of the people. Thank you for the wonderful experience. What a gorgeous historic home! And the Oriental room was perfect - quiet & peaceful. Thank you Betty & John for a special weekend and for the best cheese grits ever! 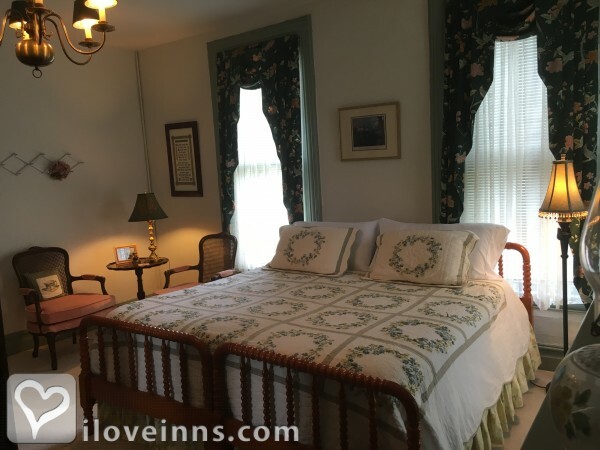 We just spent 2 nights in the Music Room and thoroughly enjoyed our visit to New Bern and our stay at the Meadows Inn Bed and Breakfast. Our hosts, John and Betty, were very helpful and friendly and made us feel right at home. 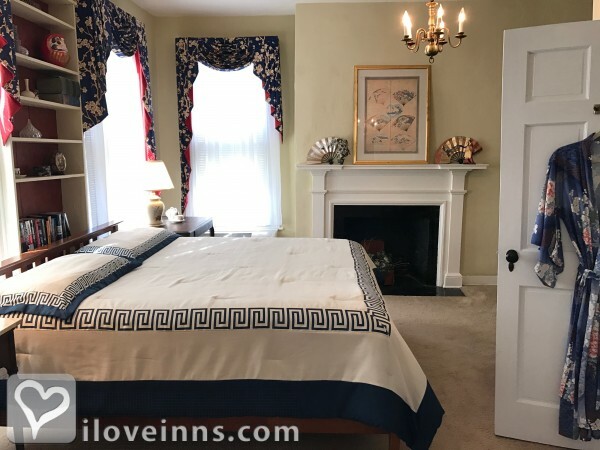 We also really enjoyed the delicious breakfast each morning and the location of the inn which is within easy walking distance of the many sites and restaurants in the historic section of New Bern. We both definitely will recommend this Bed and Breakfast to our family and friends and plan to return again soon. What a lovely home you have! We 3 enjoyed our 3rd floor living space - it worked perfectly for our mother/daughters girls' getaway. Your breakfasts were scrumptious! We enjoyed meeting you both Betty & John and appreciated your warm & welcoming touch. We had a wonderful time in New Bern!! Thank you, thank you, thank you! Thank you for a great time. Best B&B we have ever stayed in. Betty, breakfast was outstanding. We will be back. What a delightful experience! Totally relaxed! May you be forever blessed! Since I am a music lover the "Music Room" was ideal. Betty & John, Thank you for making our celebration of Cindy's birthday so memorable! Although not our first trip to New Bern, your gracious hospitality will surely bring us back. Our highlight was probably the sunset sail we took. The central location of this B&B, the ability to walk in all directions is unique. Thanks again for a fabulous weekend! We had a wonderful stay with all our family to celebrate our 50th and the accommodation could not have been better. The eight of us had lots of space to get together and the food was great. Also the house is quite a piece of history and our hosts were very pleasant and helpful. 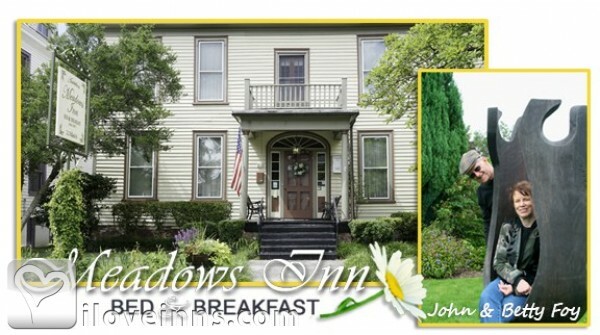 The best bed & breakfast in town! Thank you for a most enjoyable stay in a wonderful atmosphere. Breakfast was awesome! We had the pleasure of ferrying to Cape Lookout lighthouse and Shackleford Banks to see the ponies - excellent times! We'll be back again for more memories. Came back to this nice B&B for our 10 year anniversary. Stayed here on our honeymoon. Betty great breakfast. Have loved the Granny's Attic space, your warm hospitality, your careful attention to our needs &questions and accommodating our varied breakfast times. What a unique town with fascinating history, great food here at breakfast & out in town as we roamed about. Thank you so much! We have enjoyed our stay and thank you both for your great hospitality. Your home is so comfortable and in a great location. This will always be one of our favorite "getaways. We've stayed in several B&Bs but this one was the most enjoyable one. The food was great! The room so cozy & comfortable. Thanks for making our stay a so great! Very sorry that we could stay only one night. Great history in this old building. Quiet and restful. Well thought out and maintained. 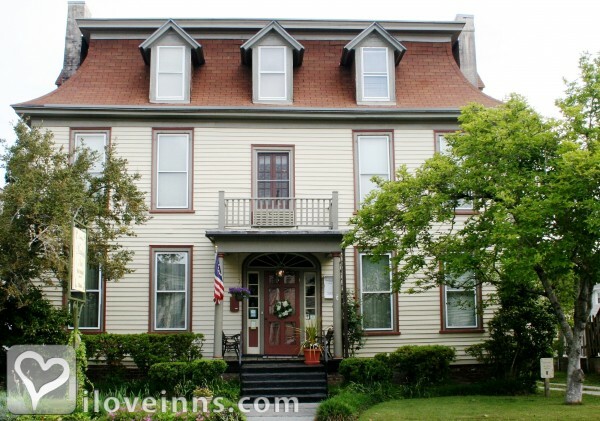 We are not usually fans of bed and breakfasts but we truly enjoyed this Inn! Monet Room Great accommodations + lovely owners + awesome breakfast = Priceless !! Thank you. This was our first time at a bed & breakfast. We've heard how nice it was to stay at a B&B but I'm sure this surpasses them all! Betty & John were wonderful and went above & beyond, especially helping plan for flowers and surprise dinner at Harvey Mansion, with our four children coordinating over the internet and phones. Everything was wonderful! Waking up to the smell of fresh baked bread & scones was a great start to the day. We really enjoyed everything. Thank you so much for a great visit. Dear John & Betty Top of the Mornin' We took the long way home to Buffalo, NY but that way you meet the unexpected - very warm and welcoming people of New Bern - especially our host. Hearing your voice on the phone made us know shelter was near. Thank you so much for your open arm welcome. Wonderful eggs!! Twenty years ago I lived here and my folks stayed here when they came to visit me. It was the Kings' Arms then. New Bern has changed a bit since then, but this B&B remains a lovely place to stay and enjoy the city. Thank you for a lovely and memorable getaway. Thank you so much for making our wedding such a special and memorable event. Your gracious hospitality went over and beyond our expectations. Our guests were made to feel warm and welcome and they were so impressed with your beautiful Inn. This truly has been a stay that we will treasure forever. It was fabulous for all of our golf - euchre group. The breakfasts, the accommodations, and being able to play cards until late... You & John are wonderful hosts. Thank you so much. We spent a memorable 26th anniversary here. Our 1st time to New Bern. Betty has been a wonderful hostess, acquainting us with this beautiful city & its charm. We look forward to returning! Thank you for the memories! Lil & I have been to many B&B's in this state, but there is no comparison. This is by far the best. That is why we wanted to spend our 25th anniversary with you both. Thank you for your graciousness, the wonderful room & our exquisite breakfasts. This was the sixth time we have been in "Monet's Garden" but it always seems like it is the first time. Thank you so much Betty & John. PS We're glad that New Bern remains that "unknown gem". We can "bearly" contain ourselves when we come. Thanks so much John & Betty for your hospitality and kindness! And for being our witnesses to our "wedding" here at the B&B! This place will always hold a special place in our hearts. 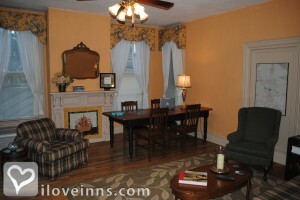 We've had such a lovely stay and look forward to our new venture to New Bern this summer. See you guys soon! Wonderful host & hostess at this lovely home. Our first time exploring new Bern. john & Betty were very helpful pointing us in the right direction for fun, food & memories. We have had a wonderful stay in this beautiful inn. Betty is a very good cook and host. New Bern is such a delightful town and we enjoy our visits each time we come to town. 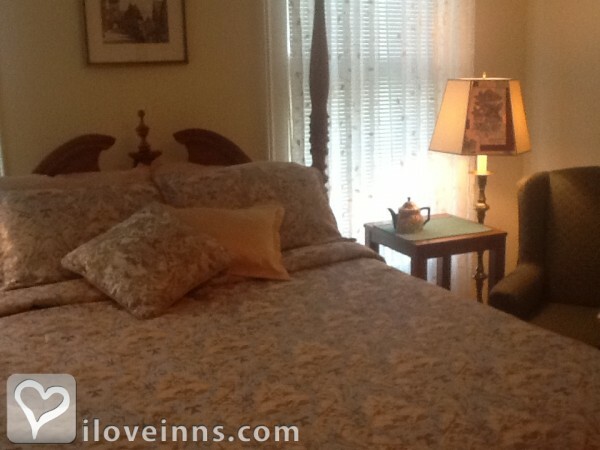 We love New Bern and we love your bed & breakfast! The bed was oh-so-comfy, the food wonderful, the hospitality excellent. Would love a return trip. Many thanks. Wonderful breakfasts by Betty, a grand cook. Beautiful room and lovely people in New Bern. My friend & I have treated ourselves to 3 days in this peaceful place. Thank you. I had a wonderful stay here. The hospitality was wonderful and a great location. Only wish I could have stayed longer. But will definitely be back. What a wonderful stay at the Meadows inn. Granny's Attic was everything we had hoped for. This was our 1st stay at a B&B. It was perfect. New Bern is a charming town. We can't wait to return one day. Thank you for the amazing hospitality. Had a wonderful time here in New Bern. Loved our room and breakfast was delicious. Highly recommend Palm Coast sailing cruise on the Neuse River. Betty what a wonderful change it was for us to stay in a room and house that is full of love and attention. May God open doors of blessings and give unto thee. God bless. From the moment we arrived we felt welcome and at home. We especially enjoyed our talk together on the porch. New Bern is a charming town and we thoroughly enjoyed our visit, and the accommodations & breakfasts were perfect. Thank you for making our stay so enjoyable. We will certainly recommend your B&B to our friends. God Bless! Thank you for the warm hospitality. We enjoyed staying in your lovely Inn. Our breakfasts were wonderful and surroundings superb! Also, the location is perfect for exploring your great city. God bless you. Thank you for making our 1st anniversary so special. We loved our stay in your beautiful Bed & Breakfast! We can't thank you enough for making our 1st trip to North Carolina a very enjoyable experience. You two were very gracious. We felt right at home. Thanks so much. Absolutely beautiful! We had a wonderful stay and are already talking about coming back here again. It was so comfortable and relaxing - "home away from home." Fantastic breakfast! We will be back. Thank you. Delightful visit. 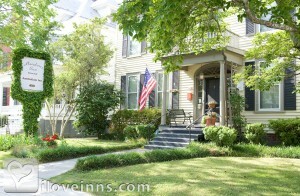 We love New Bern and this was a wonderful first B & B visit. Thanks so much. What a wonderful warm friendly spot. We have enjoyed ourselves touring the town on foot and bike. Friendly people all around. Great food. Love the tea pots and your decorations! Thanks for a good way to start our vacation. How coincidental the Inn is celebrating 29 years & we are too! Thank you for your kindness during our stay. It was fun stepping back in history to enjoy your Inn & the town of New Bern. Thanks to Betty & John for making our 49th wedding anniversary a memorable one. We enjoyed the carriage ride to Chelsea & dinner was wonderful! The walk back perfect and breakfast was definately a ****! Thanks for giving us some "quiet time" after a 10 day stay at Disney World with our children and grandchildren. Keep up the good work and God Bless you and your wonderful family. The wife and I needed a break, but also someplace romantic to celebrate our anniversary. We couldn't have chosen a better place. The accommodations are perfect, wonderful hospitality, and all the details were in place. New Bern offers "so much history". We walked and talked and realized why we got married in the first place. Thank you for providing such a wonderful place for us to slow down and enjoy each others' company. Hope to see you again soon. We came to New Bern for the 227th Marine Ball. We walked through the Cedar Grove Cemetery and toured the Tryon Palace, where the love of my life asked me to marry him by the fountain in the beautiful Maude Moore Latham memorial garden. Our lives forever changed in this beautiful historic place. We spent our first night as an engaged couple in the beautiful Irish Room. A perfect night for a perfect day.